Liu Chang’I sifu will be teaching his annual Feeding Crane seminar here in Boston the first weekend in October. The seminar is open to any experience level. For sign up, location, and other information please go here: feeding crane kung fu seminar 2016. If you have any questions, please feel free to contact us. Places are limited. On the weekend of October 24th and 25th, Saturday and Sunday, Liu Chang’I sifu will be here from Taiwan to teach a seminar on his family’s Feeding Crane system. The seminar is open to any experience level. For sign-up and location information please go here: Feeding Crane Seminar October 2015. If you have any questions, please feel free to contact us. Places are limited. On the weekend of November 8th and 9th, Saturday and Sunday, Liu Chang’I sifu will be here from Taiwan to teach a seminar on his family’s Feeding Crane system. The seminar is open to any experience level. For sign-up and location information please go here: feeding crane kung fu seminar Nov 2014. If you have any questions, please feel free to contact us. Places are limited. Kimo Wall sensei will be visiting us here in Boston at the start of May. It will be great to see him, train, and spend some time together. It will also be great to see both old and current dojo members! 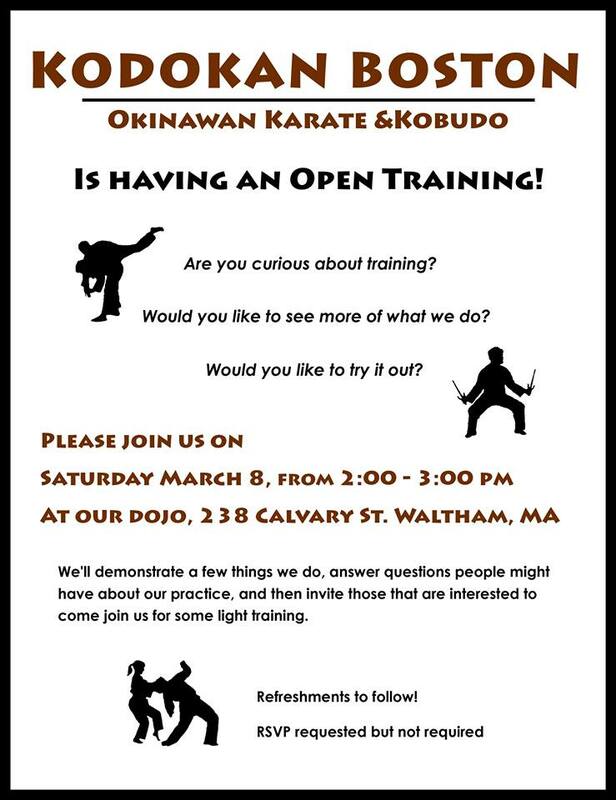 Sensei is looking forward to seeing folks, so come out if you can! On the weekend of June 21st and 22nd, sifu Liu Chang’I will here from Taiwan to teach a seminar on his family’s Feeding Crane gong’fu system. For sign up and location information, please go here: feeding crane kung fu seminar June 2014. Please join us for a demo, open training, and refreshments!